Tring Bowls Club Open Days, Sunday 5th and Saturday 11th May. An invitation to all ages and genders to come along and give bowls a try. 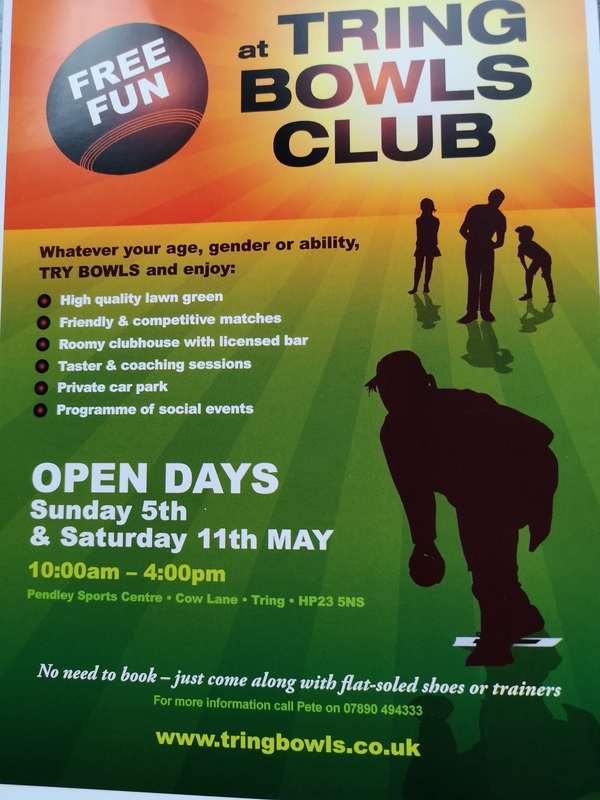 No need to book, turn up between 10.00am and 4.00pm on either Sunday 5th May, Saturday 11th May or both days, with a pair of flat soled shoes or trainers and have a go at bowls in a fun and relaxed atmosphere. No charge, with tuition and bowls provided. More information at www.tringbowls.co.uk or phone Pete on 07890494333.